The Bay Area is currently experiencing a heat wave and I’m absolutely loving it. With temperatures in the 80s it has felt like Summer and the other day I even got a sunburn after sitting outside having coffee with a friend. (Although, I’m not sure if that says more about the heat or for the fact that I’m incredibly pale these days. 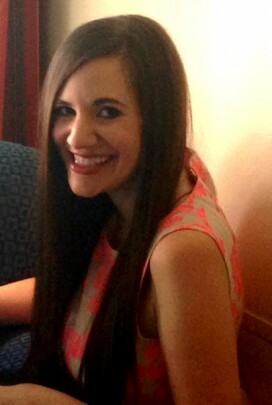 Clearly I need to re-read my post on sun care and avoiding getting burnt!) As the days are warmer and the nights stay light longer, the last thing I want to do is stand in a hot kitchen which means that something quick to put together and cold is the perfect solution. 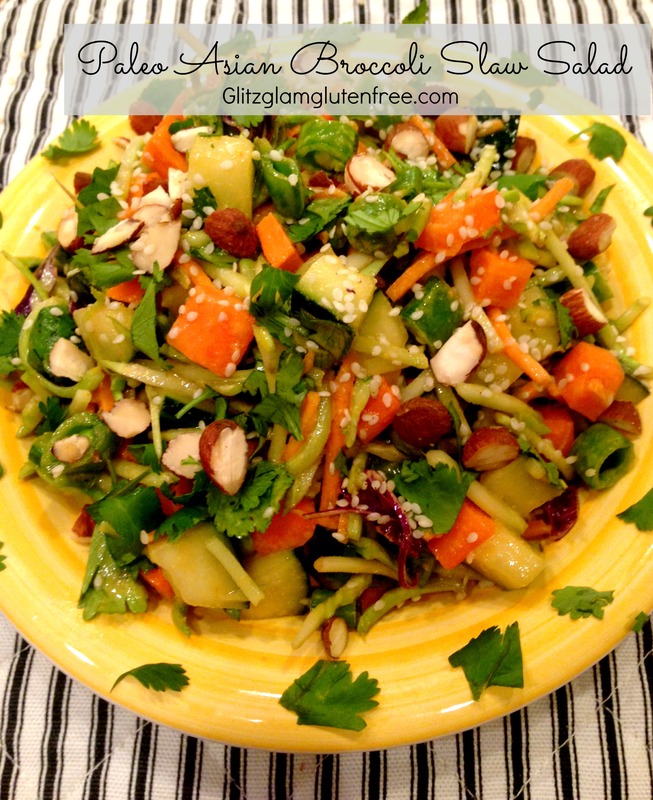 The other night I created this Paleo Broccoli Slaw salad and it was incredibly delicious! If you are new to broccoli slaw, it is a great alternative to traditional coleslaw as it shares the same crunchy taste but has more health benefits! I know that this is definitely going to be a summer staple at my house and it also would be fantastic to take to a party as it will travel well. Of course, you can add chicken (or tofu if vegetarian and not paleo) to this but I like it as is! Note: I like my salads lightly dressed so I used only 1/4 cup of dressing and had some leftover but people who enjoy more dressing may want their salad coated more thoroughly. 1. Chop cucumber, carrot, snow peas, green onions, cilantro and almonds. 2. Combine the above, except for the almonds, with the broccoli slaw mixture in a large bowl. 3. Add all dressing ingredients, except for the olive oil, to blender or food processor and blend until combined. 4. On a slow speed, combine olive oil into mixture. 5. Pour salad dressing on salad and toss thoroughly, coating mixture. 6. Add almonds, sesame seeds and garnish with cilantro. Enjoy! What’s your favorite warm-weather recipe? I’m a kale chip addict. I used to make kale chips years ago before they were popular and they never really turned out right. They ended up burnt, slightly slimy and way too salty. For years, I didn’t touch another kale chip due to my preconceived notions that they would all taste that way. That was until last year, and I noticed kale chips in all my favorite grocery stores and I decided to give them a try. Oh my goodness, I had been missing out. These kale chips are light, crispy and crunchy with the most amazing flavor. And they are seriously addicting. Given that they come in resealable bags, I’m guessing that the companies expect you to eat them on multiple occasions. But not me. That bag is gone in one sitting. I’ve tried a bunch of different kinds, but my favorites are Kale Joy and Kale Krunch. Both of these products are completely natural, gluten-free and vegan making them a fantastic healthy snack. 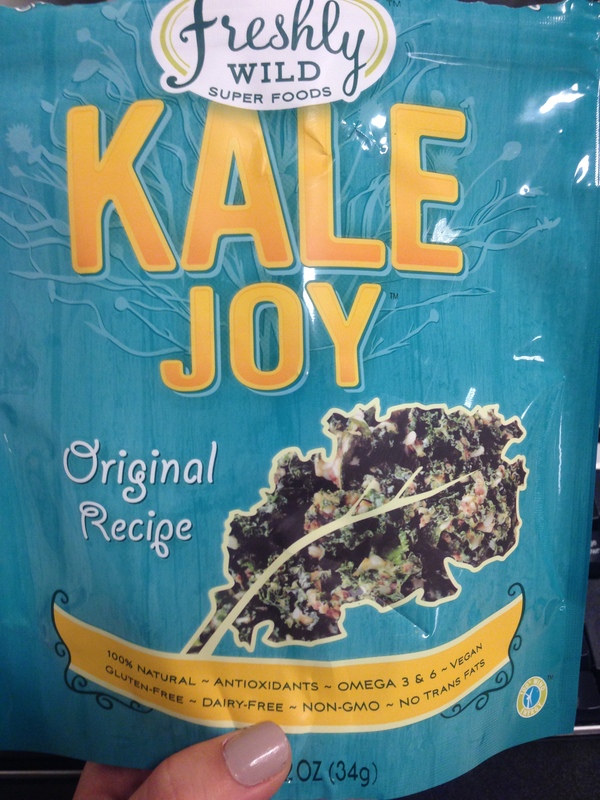 Plus the coating on both brands contains nuts or seeds, which give them an added protein punch- Kale Joy Original has 6 g of protein per serving! I’m partial to the original flavors of both of them but I’m sure the others are fantastic too. Unfortunately, they aren’t cheap ($6 a bag) but they are worth every penny! At some point I might try my hand at making my own kale chips again, but in the meantime, I’ll be the girl hoarding bags of kale chips at the grocery store. -Have you tried kale chips? -What would be your favorite flavor combo? Hi lovelies! I hope that you all had a lovely weekend and had a fun time with your friends and family. I’ve been promising you recipes on GGG for a while now and today I’m finally delivering! 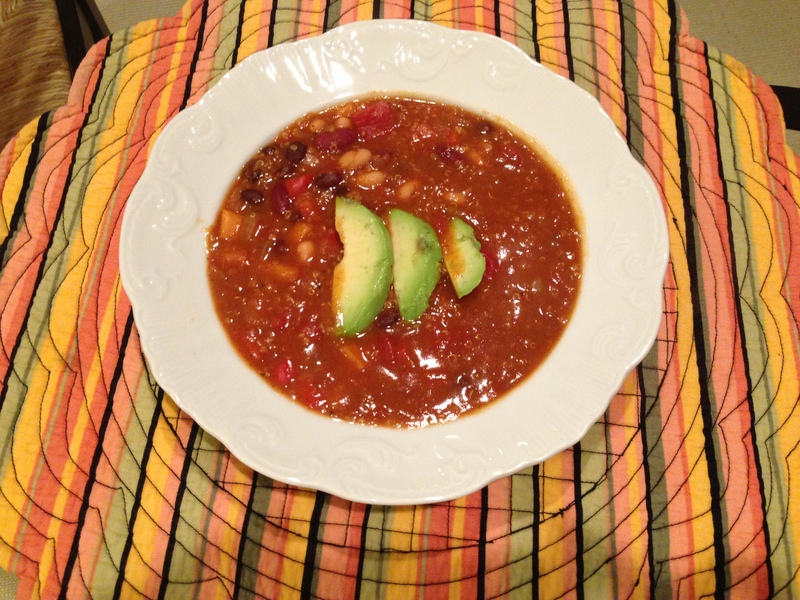 I first made this pumpkin chili last week with my friends for an impromptu dinner party and it was a hit. Well last night I decided to make a batch again to enjoy while watching the Golden Globes and made a few changes that made it even better. But before we talk chili, I’ve got to talk fashion for a bit. Did any of you watch the Golden Globes last night? I always enjoy awards shows but I’ll admit, mostly for the fashion. “Who are you wearing” is the question I really care about during the evening and last night there were some definite hits and misses. These women didn’t take any huge fashion risks with their dresses but I think they all looked absolutely gorgeous. They defined classic elegance with simple silhouettes and classic colors. My favorite of these four looks though was definitely Kate Hudson. Not only does the woman seem to be aging backward, but her look was spot on for me in this fantastic Alexander McQueen dress. I also have to give a shoutout to Jennifer Lawrence as well who looked stunning in her coral dress- definitely my favorite red carpet look that she’s worn this season. Oh dear, where to begin. First of all, I think Jessica Chastain seems like a wonderful person and is a fantastic actress. But if I were her, I’d fire my stylist immediately. Her dress did nothing for her and I really wished someone would have fit that halter properly. But my real issue with the look was her hair- her hair stylist managed to age her and make her look as though she was balding. Poor Jess. I hesitated putting Lena Dunham on here because she really isn’t known for being a fashion plate, so I don’t generally expect to much from her. But- this dress was just bad. Next up, this dress was all wrong for the petite Julianne Hough and with such a pretty bodice, I wish this would have flowed into a more form fitting gown. Instead, it looks a little like a wedding dress gone bad. But hey, maybe this was her way of signaling to Ryan Seacrest to put a ring on it. Lastly, Debra Messing. She has a great figure as well but this dress didn’t do her any favors with the parachute fabric on the bottom. I could have overlooked the dress though if it weren’t for the styling. The huge bangles on both wrists plus large earrings and a large dress, there was just way too much going on. Now enough with the fashion, let’s talk food! Chop onions, bell peppers and mince garlic. Using large pot, heat 1 T. olive oil and add the onions and bell peppers. Stir and let cook for about 5 minutes until the onions start to become translucent. In a separate pot, combine quinoa with 1 cup water and bring to a boil. Once it starts to boil, reduce heat to low and cover. Leave for 15 minutes until all water has been absorbed. In your large pot, add pumpkin, beans, tomatoes, tomato paste, garlic and vegetable broth. Bring to a boil. Add all spices to the large pot and reduce heat to simmer for 30 minutes. When quinoa is finished, combine to pot and continue to simmer, stirring occasionally. Garnish with avocado or cilantro and enjoy! I hope you enjoy the recipe as much as I do and am already looking forward to having it for lunch! -Who was your best and worst dressed at the Golden Globes? -Do you have a favorite chili recipe? Hi lovelies! I hope that you all had an absolutely wonderful weekend! It was pouring rain in the city this weekend but it seemed like things worked out perfectly and it always cleared up during times when I was out and about! Love when that happens! I had a full weekend that was the perfect combo of relaxing and fun. It was Daddy Jeff’s birthday this weekend so we went out to celebrate on Friday night! It was so great to have an opportunity to celebrate Daddy Jeff because he really is the most incredible, most compassionate, sweetest dad! I am so, so lucky to have him in my life! Late Friday night I did a little baking so I could bring something special to brunch the next day. In addition to the gluten and dairy, my doctor’s have a few other things I can’t have so I knew it was best to make something out of the ingredients I could! I made a version of Chelsey’s “Pumpkin Surprise Muffins” but substituted almond butter for peanut butter and stevia for the sugar. I also added a little almond milk. Mine didn’t turn out quite as pretty as hers, but they sure tasted delicious! For the Girl’s Book club that I’m in, we usually have our meetings on Friday nights. This time our lovely host Biz decided to do things a little different and we did Brunch instead! It was so fun gathering together and getting to chat with all my friends over a delicious brunch. Oh and we talked about the book too! We read Gone Girl this month and it was so good! I’ll be sure to post a review soon! A huge highlight of my weekend was when my parents brought home a Vitamix! I cannot even tell you excited I was but will share that I may have been dancing around the kitchen squealing “we got a Vitamix!” I have wanted one so badly for the past two years and cannot wait to start using it. Smoothies, soups, pesto, nut butter, dairy free ice cream? I mean really the possibilities are endless! Yesterday I went to see the San Francisco Choral Artists perform their Christmas concert and it was just beautiful. They all had such powerful voices and the notes they could hit was awe-inspiring! One of my favorite songs was actually done without words and just with sounds which seems a little odd but was really cool! It was a great night! -What did you do this weekend? -Any recipes I must make using my new Vitamix?? Real Talk: How Do You Measure Your Self-Worth?